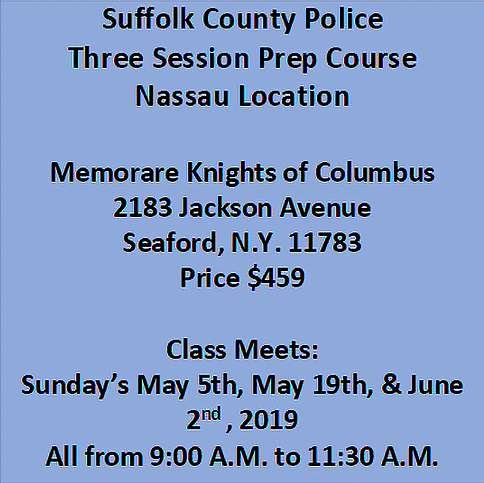 Our Suffolk County Police Classes: $459.00 for a three session prep course payable with a deposit of $179.00 and the balance of $280.00 to be paid in the first class. 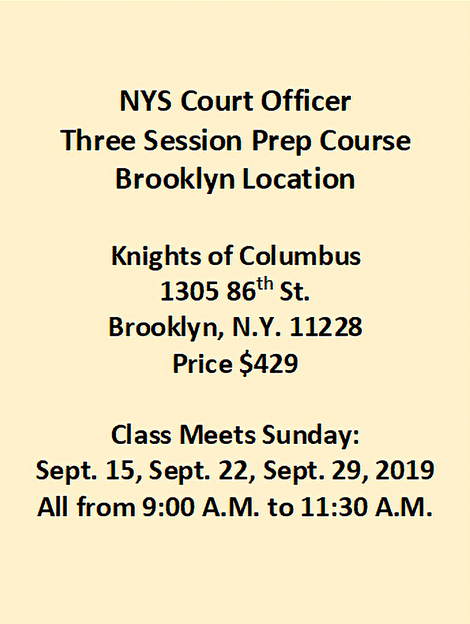 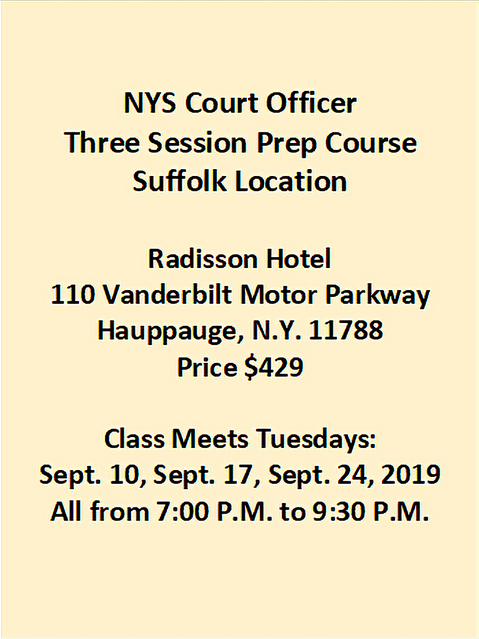 NYS Court Officer Classes: $429.00 for a three session prep course payable with a deposit of $169 and the balance of $260 to be paid in the first class. 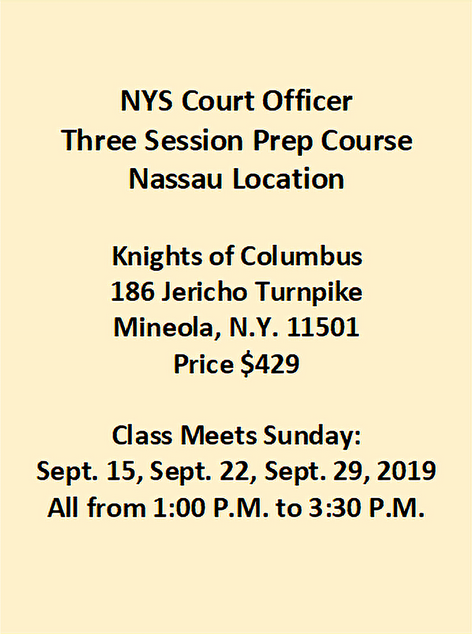 Register for our NYS CO Classes by April 30, 2019 and receive a $50.00 early registration discount. 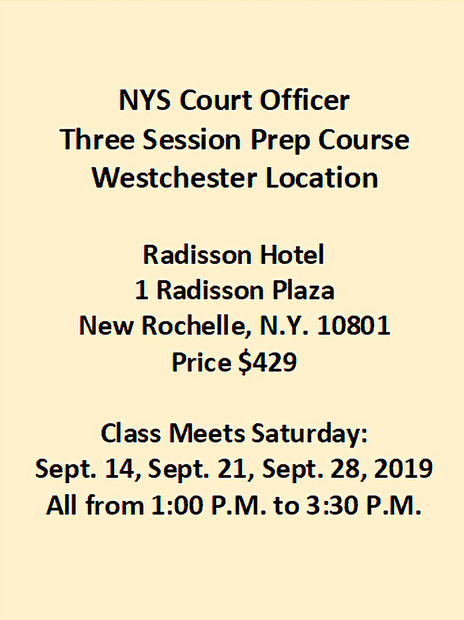 Discount will be applied to the balance of your tuition due the first day of class. 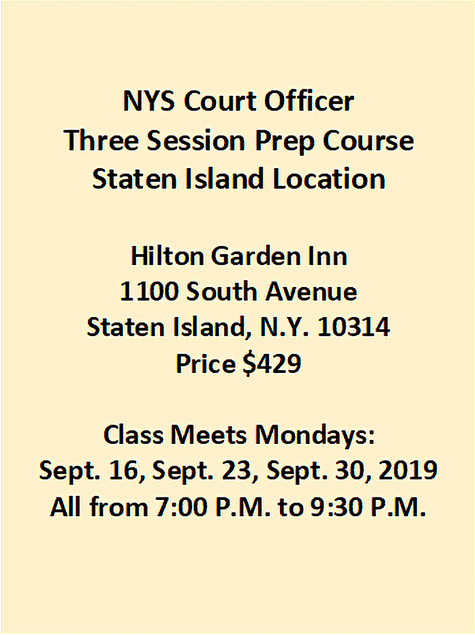 Please put student information in “ship to” section if different from credit card holder. 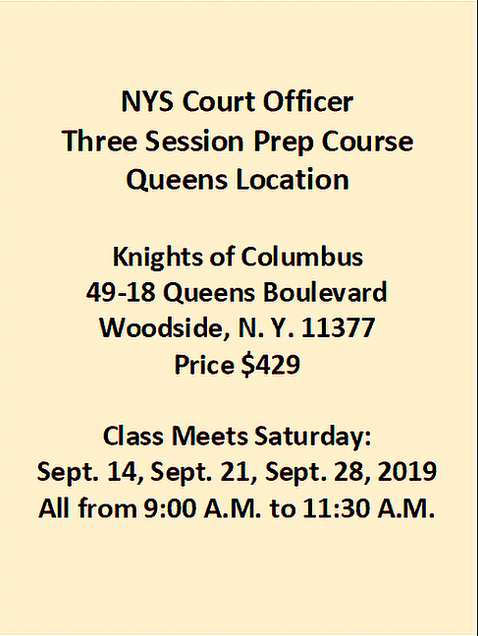 Note: All materials will be handed out in class, not mailed to home.